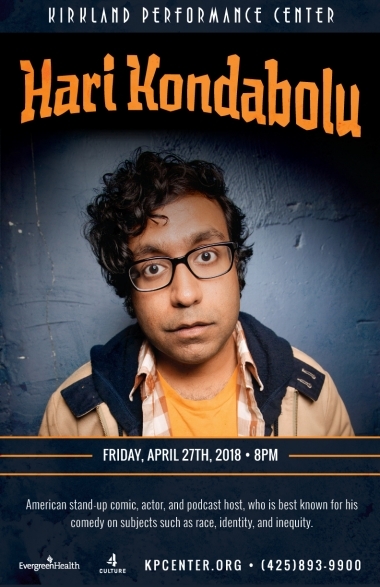 Hari Kondabolu is a Brooklyn-based comic who the NY Times has called “one of the most exciting political comics in stand-up today.” He has performed on Letterman, Jimmy Kimmel Live, CONAN, John Oliver’s New York Standup Show, and has his own Comedy Central Presents special. A regular on the NPR circuit, he has appeared on Fresh Air with Terry Gross, All Things Considered, Studio 360, Morning Edition, The Moth…among many other programs. He is best known for his comedy on subjects such as race, identity, and inequity. 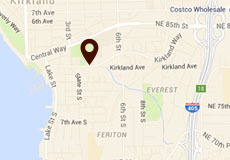 Carmen Lagala will be opening. Hari Kondabolu is a Brooklyn-based comic who the NY Times has called “one of the most exciting political comics in stand-up today.” He has performed on Letterman, Jimmy Kimmel Live, CONAN, John Oliver’s New York Standup Show, and has his own Comedy Central Presents special. A regular on the NPR circuit, he has appeared on Fresh Air with Terry Gross, All Things Considered, Studio 360, Morning Edition, The Moth…among many other programs. Hari was a writer and regular on-camera contributor on FX’s Totally Biased with W. Kamau Bell. In 2014, he released his debut standup album “Waiting for 2042” on indie-label Kill Rock Stars and recorded his sophomore album “Mainstream American Comic” in Portland, Oregon at Mississippi Studios that was released July 22nd, 2016.